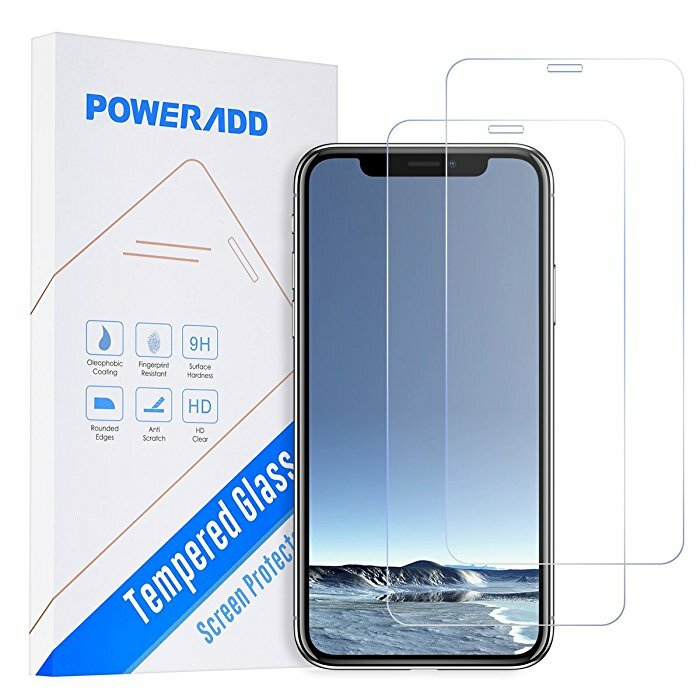 This Poweradd tempered glass screen protector for iPhone X is made to be hard, durable and highly resistant to scratches and scrapes. The film is made of advanced PET film from Japan, it features 9H hardness for protection. 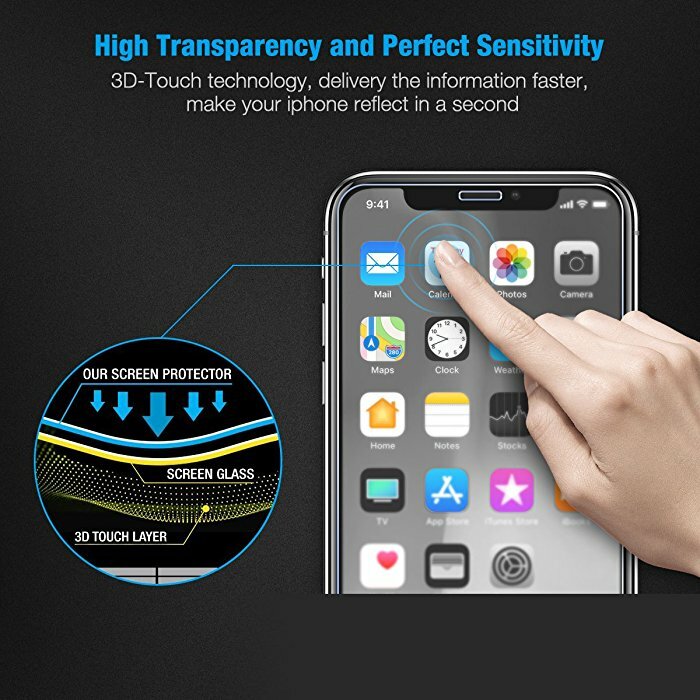 The screen protector has unique 3D round edges that can fit iPhone X perfectly. 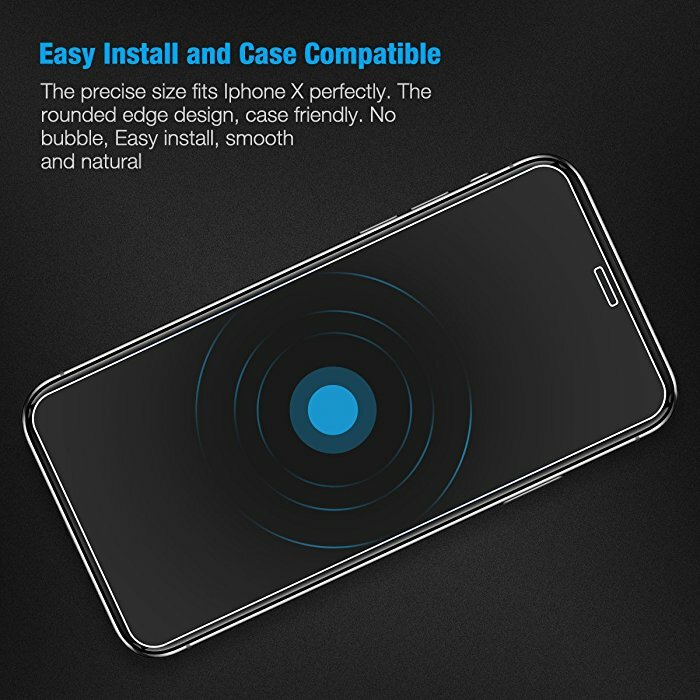 The screen protector is designed to be thin, highly transparent. 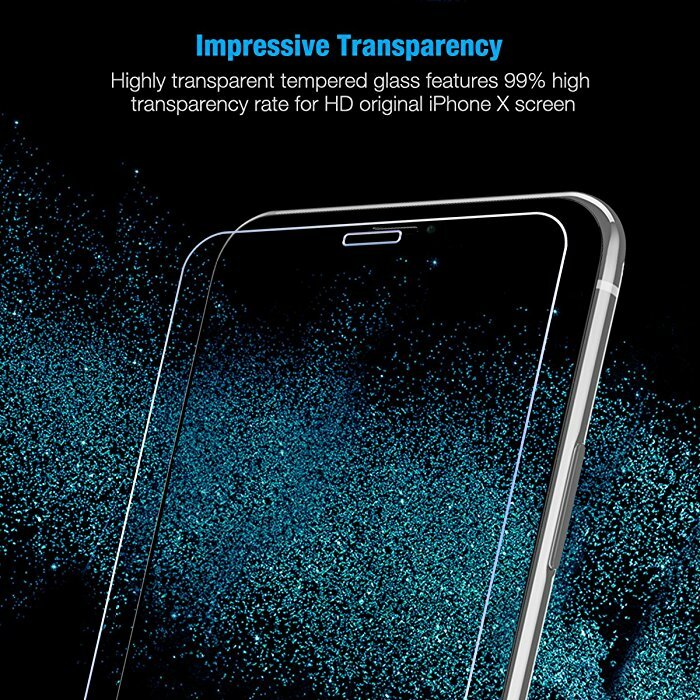 This paper-thin screen protector for iPhone X is easy to apply on your iPhone X screen. 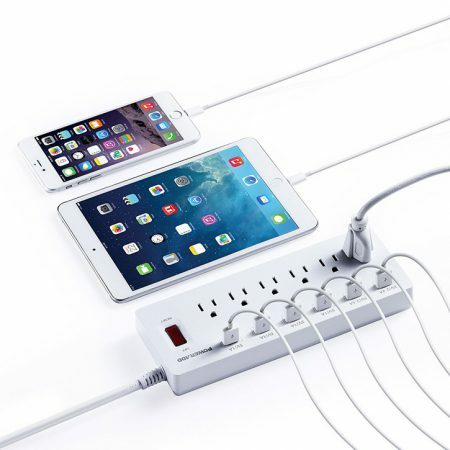 It’s easy to attach the thin film right on the screen. 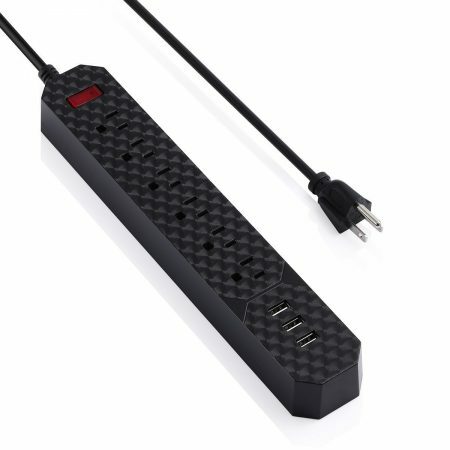 It will stay securely in place, giving you a smooth and well protected screen. 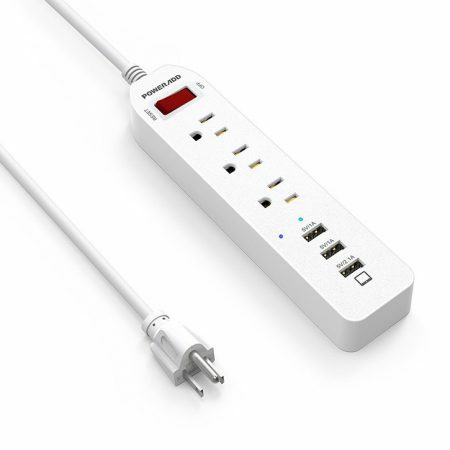 When you need to remove the protector for maintanence, you can take it out effortlessly without hassle. 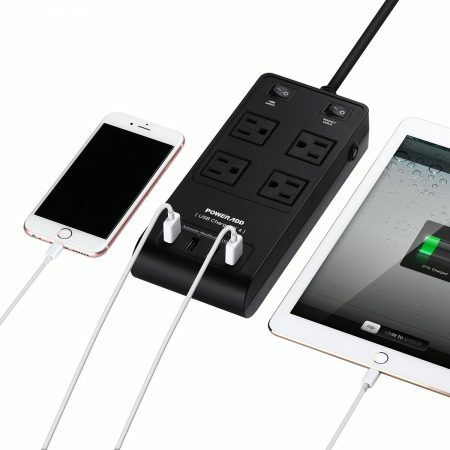 This Poweradd screen protector is specially made for iPhone X, 5.8 inches. The unique 3D round edges, precise cutouts and exquisite lines make it perfectly fit your iPhone X screen. 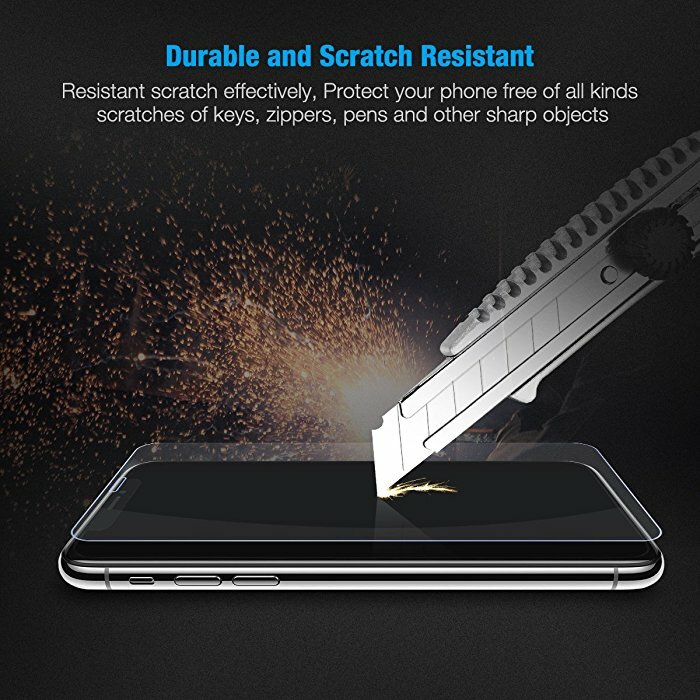 The screen protector is only 0.33mm in thickness, which allows you to enjoy a highly sensitive screen. 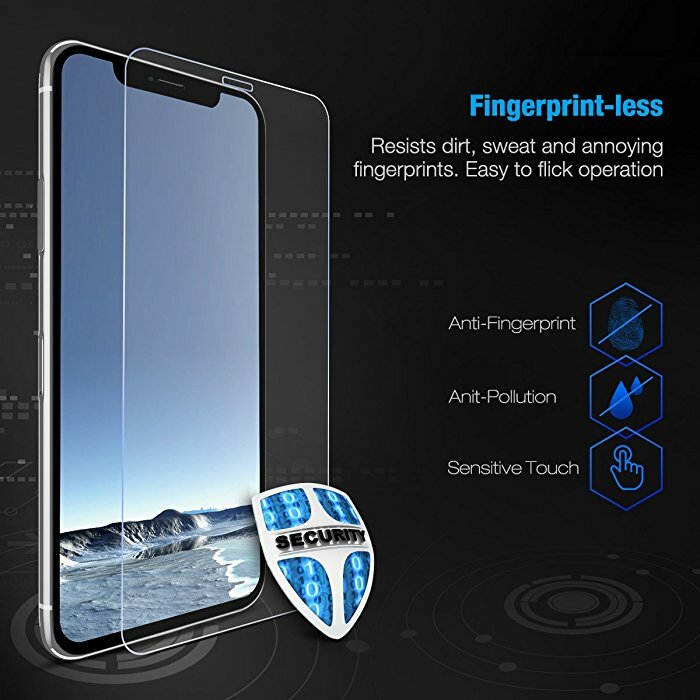 This screen protector has a finely-made anti-fingerprint electroplating coating that effectively keeps fingerprints, sweat and oil off your phone screen. 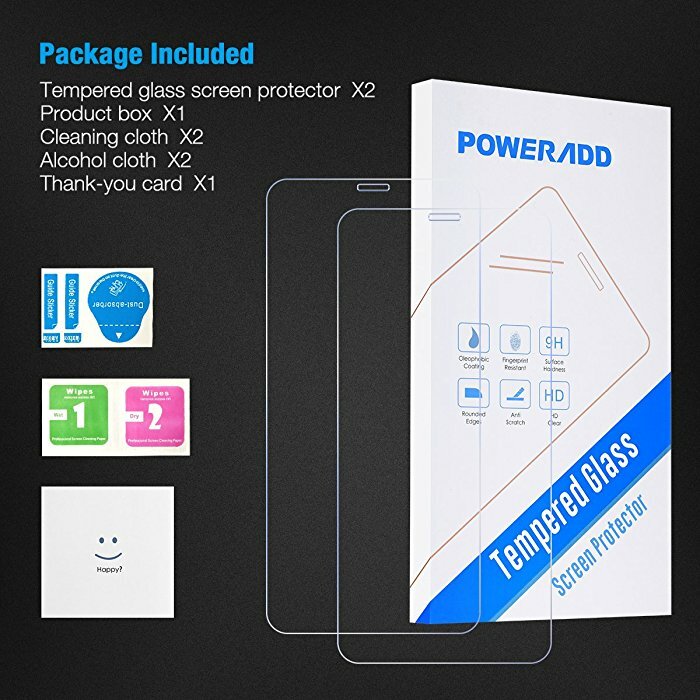 Package includes 2 pack Poweradd tempered glass screen protectors for iPhone X, cleaning cloth and a thank-you card. 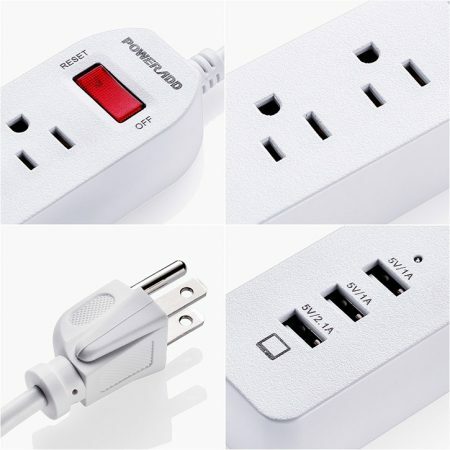 Poweradd provides you with lifetime customer service and best solutions for product problems.